Rendering of the upcoming Brick Works, courtesy of CBRE. 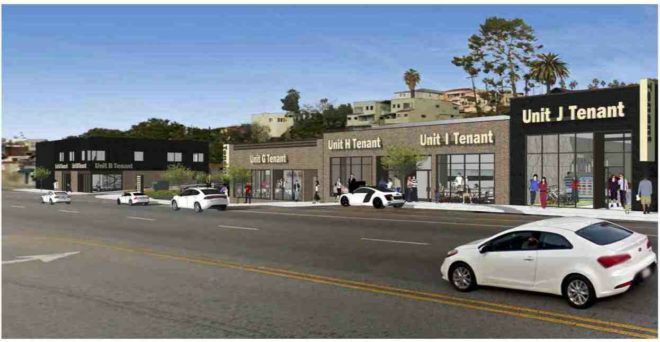 Echo Park – The Brick Works – a retail and residential development on the site of the old Grocery Warehouse on Sunset Boulevard – has signed its first tenant. Coffee roaster Stereoscope Coffee will be moving in to the Brick Works and opening a 936-square-foot flagship store, according to CBRE, which represents the landlord, Champion Real Estate Company. Stereoscope roasts a variety of coffee beans and operates a coffee shop in Buena Park. The micro roaster has supplied beans to cafes in the Arts District and Los Feliz. The Brick Works, which will have 15,000 square feet of retail and restaurant space, is set to be complete April 2019. In addition, a mix of studio and one-bedroom apartments are being constructed on the second floor of one of the buildings on the site. The renovations are set for completion in April 2019.